I’m a little late to the party, but I finally got around to picking up Stardew Valley. I’ve been actively avoiding the game due to how similar it is to Harvest Moon titles. It’s not that I think this is a bad thing, but rather that it’s like crack to me. Once I pick one of these types of games up, it is really hard for me to put it down. The game starts with players choosing the name and appearance of their characters. There’s a lot of different options to chose from that really helps players make their own little sprite version of themselves. They also get to pick the name of their farm, set a preference for cat or dog, and a couple of other things. Why is fishing so darn relaxing? Once the player is ready, they learn about their grandfather’s last will. He leaves his farm in Stardew Valley to the player and tells them they can move to it if the daily routine of life in the big city starts to wear on them. This is exactly what happens and the player sets off to start their farming adventure. I went into Stardew Valley expecting it to be Harvest Moon with a few extra features. I can safely say that I was wrong. 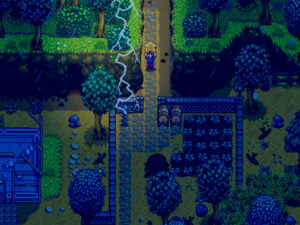 Stardew Valley has so much more to do than any Harvest Moon game that I’ve ever played, yet it still manages to capture that same feeling of satisfaction that those games give me. Since I’m late to playing Stardew Valley, there have been a few updates to the game from it initial release. One of these is a major one. 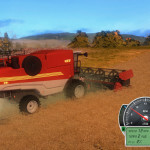 It allows players to pick different styles of farms to live on when creating their characters. There are farms dedicated to fishing, mining and more. I stuck with the basic farm though since this is my first time with the game. Starting out in Stardew Valley is a lot like a Harvest Moon game. 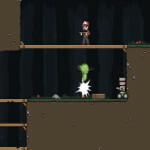 The player buys seeds, plants them, waters them and waits for them to grow. They will also have to interact with the different people living in Stardew Valley. This includes the mayor, store owners and the various other people in the area. Just like in a Harvest Moon game, it is important to build relationships in Stardew Valley. This of course means that players should search out for their soulmate in the small town of just 30 people. However, there is one major difference. Players can build their affection levels with characters that aren’t potential love interests. There are various benefits to doing this, such as getting recipes through the mail from people the player is close to. After a bit of exploring in Stardew Valley, I finally decided to expand my farm. I built a bigger house, started raising chickens and began raising more crops. Foraging was another major interest of mine, which is just running around and picking berries, mushrooms and anything else that grows in the wild. I also make sure to take breaks for fishing and exploring the local mines. One of the greatest parts of Stardew Valley is improving skills. Foraging, Farming, Fishing, Combat. These are all skills that improve the more players use them. It makes the character better at actions related to those skills and gives them bonuses. This includes being able to specialize in certain parts of those skills. For example, I chose a bonus for my Forager skill that gives me a chance of getting double the amount of items I forage. However, I could have went a different route and make wood sell for 50% more, which would have basically taken me down the route to becoming a lumberjack. It’s a nice bonus that actually has me already thinking about how I’ll play my second and even third characters when I make them. Another beauty of Stardew Valley is that it never really feels like it’s rushing the player. Sure there is a time limit to each day, but I didn’t feel bound by it. I never sat down and made a large schedule to make sure I was being as efficient as possible, which is something I normally do in Harvest Moon games. It just feels a bit more laid back, and that’s a good thing. If players find that they have too much free time on their hands, they can also take up jobs that are posted on the town board. This may include killing a certain number of slimes, catching and delivering a fish, or a variety of other tasks. 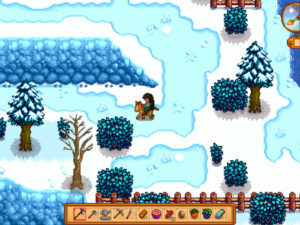 This helps Stardew Valley break up the routine schedule that could start to wear on players after a time. 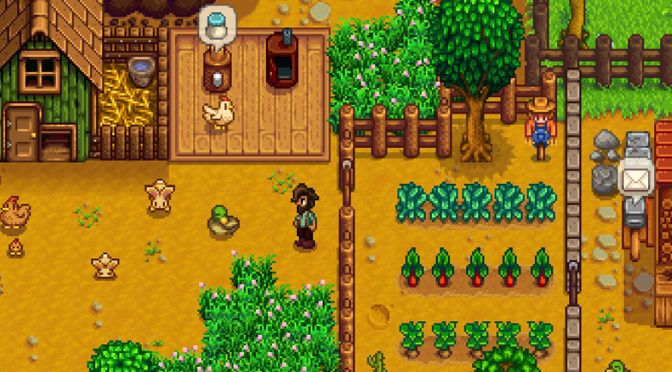 Stardew Valley has other events to keeps players interested as well. This includes festivals, fairs and other local gathering. These are also great ways to get close to people. Another thing to lookout for is birthdays. Every character has their birthday posted on the town calendar and giving them gifts on those days greatly improves your relationships with them. It’s another one of those small inclusions that helps the player care more about the residents of Stardew Valley. It’s great to see how the valley changes in different seasons. One of the other major missions in Stardew Valley is to restore the town’s community center. 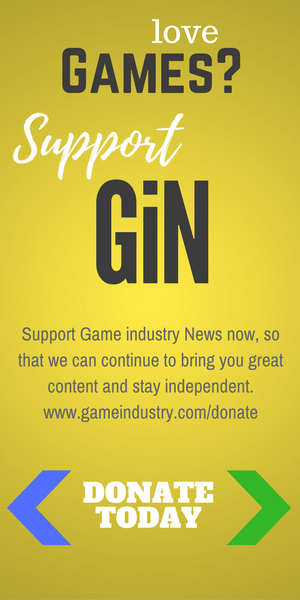 It has been in shambles for years and players can help spruce it up. This is done by bringing various items to the strange pudding-like creatures that live there. It’s all part of the effort to stop JojaMart, the evil big box retailer, from buying up the land and destroying the town’s local businesses. 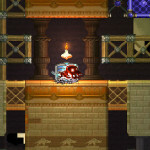 Players without souls can choose to join JojaMart if they want. It changes the game a bit, but I’ve elected not to take that route in any of my playthroughs. If there’s one downside to Stardew Valley, it’s that it doesn’t do much in the way of teaching. 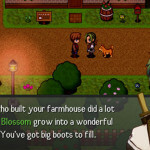 The game shares enough common elements with Harvest Moon titles that I was able to get started just fine. However, those without past experience with Harvest Moon games may feel a bit overwhelmed at the lack of direction. Luckily, there is a Wiki to help players out. 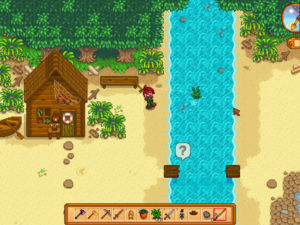 The graphics in Stardew Valley are absolutely wonderful. It’s all made up of beautiful sprite art that really captures that classic feel of older video games. This doesn’t mean that the game doesn’t have details, though. Breezes blow leaves out of trees, rabbits run into bushes as the player passes by and rain leaves ripples on the water’s surface. These are just a few example of the background details that help this stand out as one of the most beautiful games with sprite graphics that I have ever seen. The audio in Stardew Valley is also superb. 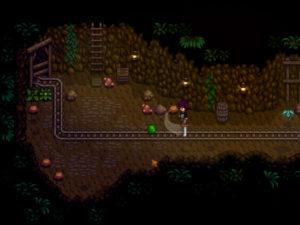 Mysterious music fills the mines as the player travels deeper, relaxing music plays while the character harvests crops, and town festivals are filled with sounds of cheer. I don’t often buy the soundtracks for video games, but this is one that I will most definitely be grabbing. Overall, Stardew Valley is a wonderful experience that Harvest Moon fans are sure to love. It’s also got enough extra material to it to draw in other players as well. I was the only one of my friends that loved Harvest Moon games growing up, but I have several that really enjoy Stardew Valley. This, to me, is a sign that it can reach a much larger audience than Harvest Moon ever could have, and it didn’t have to water anything down to do so. 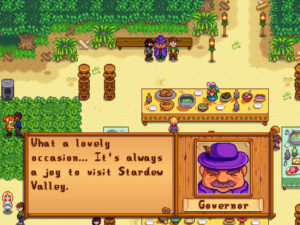 Stardew Valley earns 4.5 GiN Gems out of 5!